- Wrench for removing front fork cap. 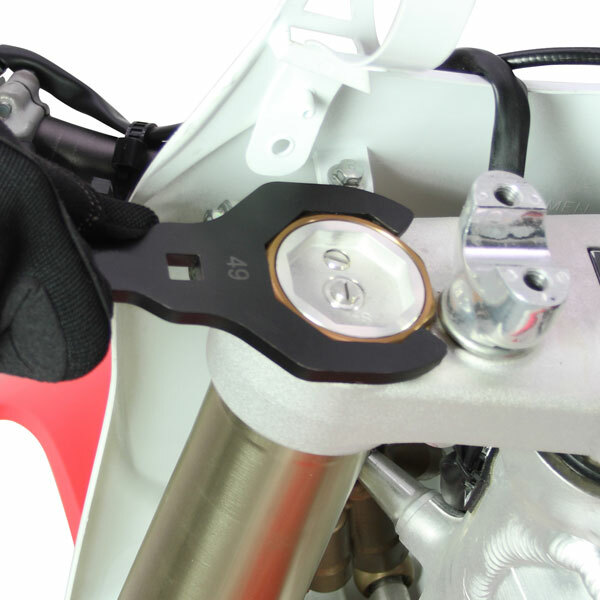 - 2 wrench sizes available, 49 mm for KYB and 50 mm for SHOWA and 50 mm KTM WP front fork. 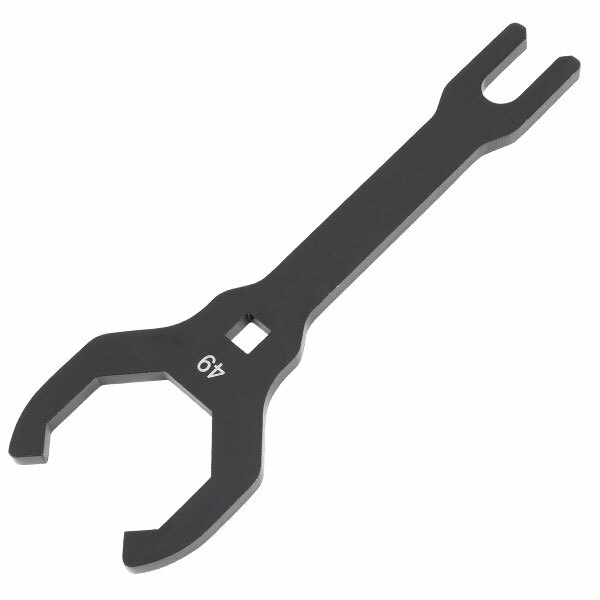 - Open wrench design for easy operation in small spaces. - Opposite end of the wrench is rod stopper to hold piston rod when removing piston inner cartridge. - Made of durable steel, electro coating finish.